Making a difference, one business at a time. Why read pages of boring annual reports when a snapshot will do? 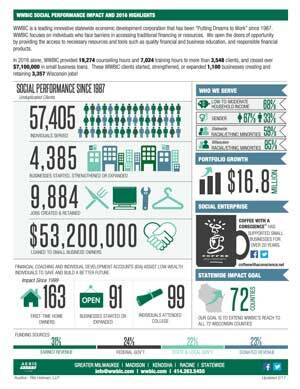 Take a look at our 2015, 2016, and 2017 highlights. 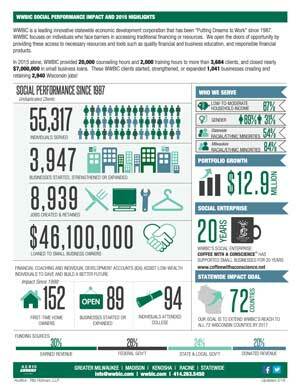 The Wisconsin Women’s Business Initiative Corporation (WWBIC) has provided quality business and financial education coupled with access to fair capital and financial products for over 30 years. 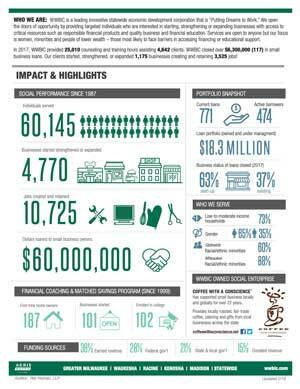 WWBIC’s impact is seen through the many entrepreneurs, business owners and individual whom we assist. Our work and support put your business dreams to work.